TEC challenge: Chairman of Bharti Airtel Sunil Bharti Mittal. With the Telecom Engineering Centre (TEC) suggesting an almost eightfold increase in subscriber base for GSM operators such as Bharti Airtel Ltd and Vodafone Essar Ltd , to qualify for additional radio spectrum, India’s biggest phone firm Bharti Airtel has asked the government to prove the technical feasibility of TEC’s recommendations. 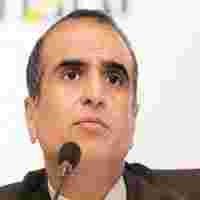 Sunil Bharti Mittal, chairman of Bharti Airtel has asked the department of telecommunications (DoT), in a letter on Thursday to immediately withdraw a large part of spectrum from state-run Mahanagar Telephone Nigam Ltd in Mumbai and New Delhi, and then “run an efficient, high quality network, meeting all the quality of service parameters laid out by the Telecom Regulatory Authority of India and show how best to manage spectrum without compromising the customer’s interest." The letter was addressed to DoT secretary D.S. Mathur. DoT’s technical wing, TEC, had on Wednesday, recommended that for an operator in New Delhi to become eligible for additional 6.2MHz spectrum, it will be mandatory to have 1.9 million subscribers. In Mumbai, GSM operators will need to have a subscriber base of 2.3 million before getting any additional spectrum beyond 4.4MHz allocated initially. “The report is based on a scientific study carried out by the experts at TEC," said a senior TEC officials who did not wish to be named. If these new norms are accepted by the government, GSM operators such as Bharti, Vodafone and Idea Cellular Ltd would not be able to get additional radio spectrum.